The rest feel safe within judiciary system. 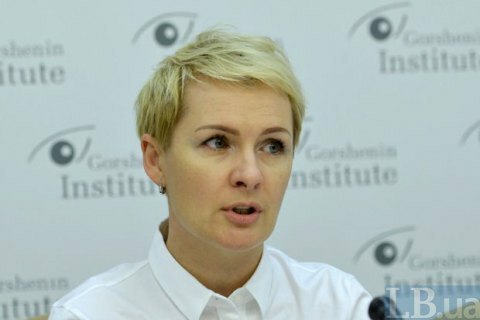 Over the last two years, only seven judges were dismissed on lustration, the head of the lustration department in the ministry of justice told a round table conference by Gorshenin Institute and the Reanimation Package of Reforms. "Ukraine has adopted two laws that are related to judiciary. The first one was on the reinstatement of public trust in the judiciary. This legislation has terminated the powers of the Supreme Qualification Commission, allowed judges to elect heads of courts, terminated the powers of the High Council of Justice, and created temporary special commission that has collected statements and materials and prepared the preliminary findings on judges who have been involved in persecution of Maidan activists," she said. The commission recommended the dismissal of 46 judges for violation of oath. Of these 46, the High Council of Justice revised the cases of 30 judges, and only 6 of them were dismissed for violation of the oath. "The remaining 16 are still awaiting for revision of their cases in the parliament," said Kozachenko. In other cases the HCJ found no evidence of violation of oath, Kozachenko complained. The law on the cleansing power proved to be very ineffective so far as the High Council of Justice has been "too loyal to judges". She said that during the consideration of these packages VJ most loyal to the judges and if any particular person fall under lustration, but applied for a dismissal, that this statement was given priority. In all of Ukraine, only seven judges were dismissed based on lustration criteria, Kozachenko said, while 25 other are awaiting the decision of the president or the parliament.